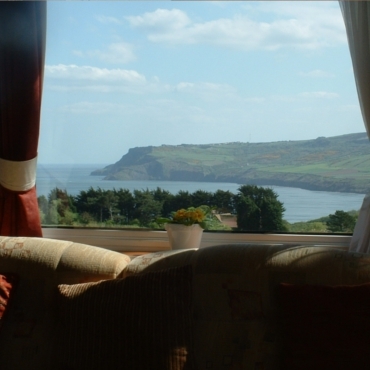 Our static caravan is situated half a mile from Robin Hoods Bay on the B1447 (Robin Hood's Bay to Whitby Road) overlooking the picturesque bay with views of sea, moors and country. 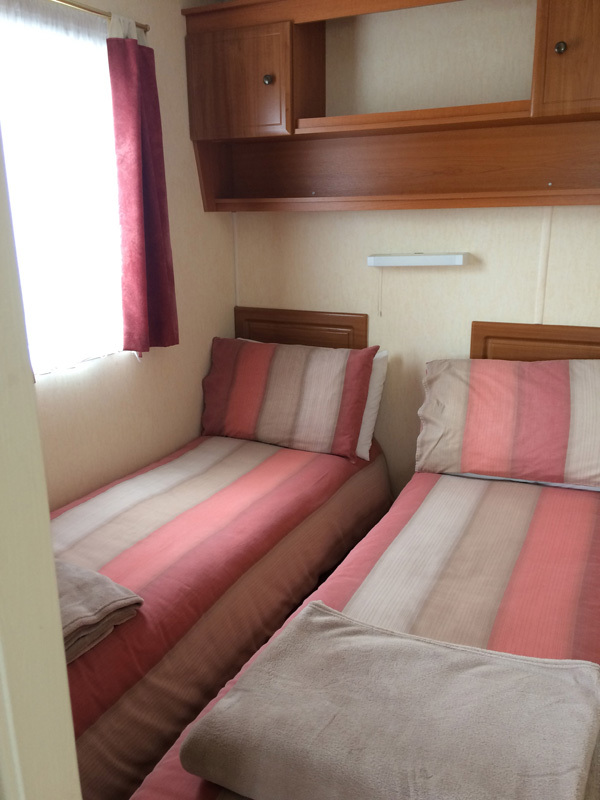 Main bedroom with double bed and fitted units, second bedroom with two single beds and fitted units. All bedding is provided. Please bring your own towels. 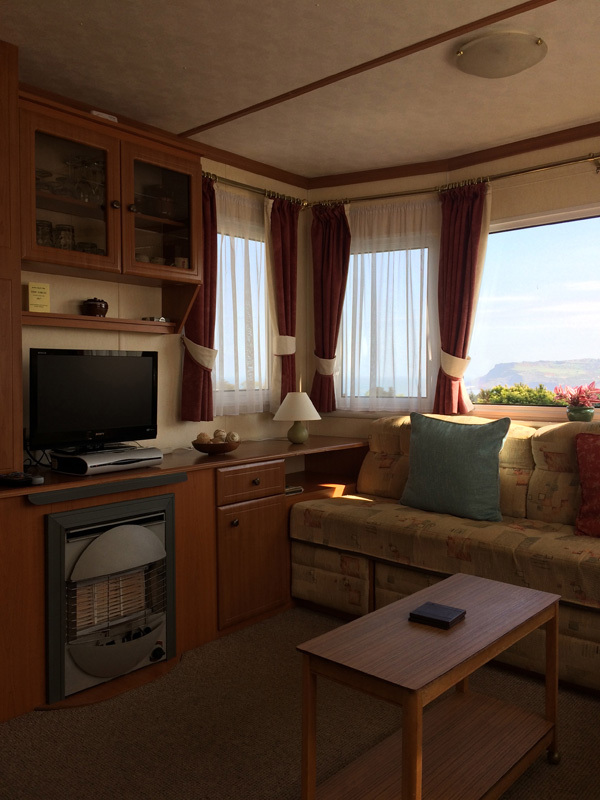 A comfortable lounge including dining area, with television with DVD player and Freeview and gas fire offers uninterrupted panoramic views. 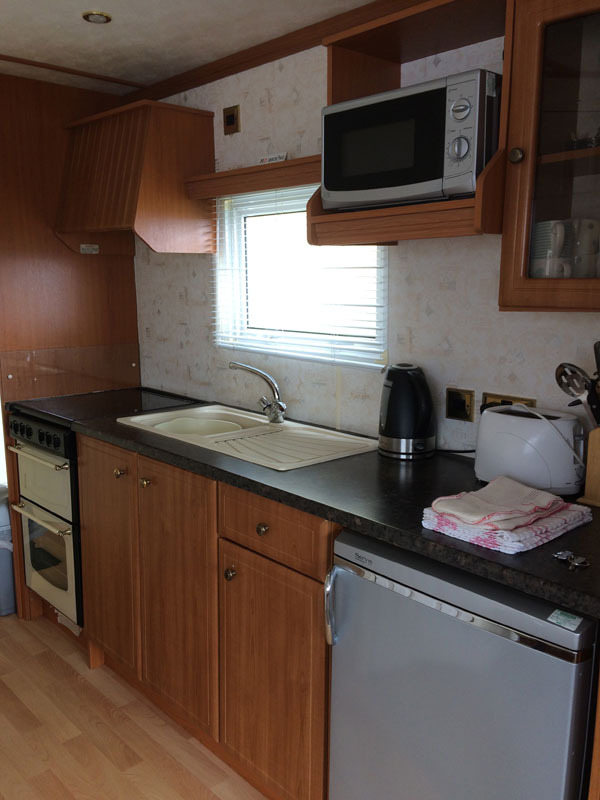 In the kitchen there is an electric kettle, toaster and microwave, sink, fridge and full sized oven with four rings. All gas and electric is included in the price. Hot and cold water supplied to the shower room with shower, hand basin and mains toilet. Ample off road parking. Shower room with shower, hand basin and toilet. 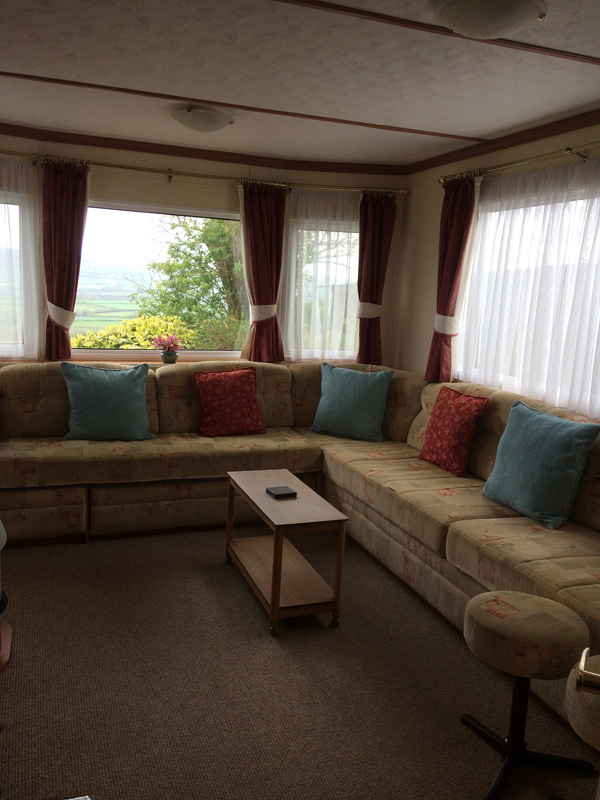 Available all year round for weekly or short stay breaks. 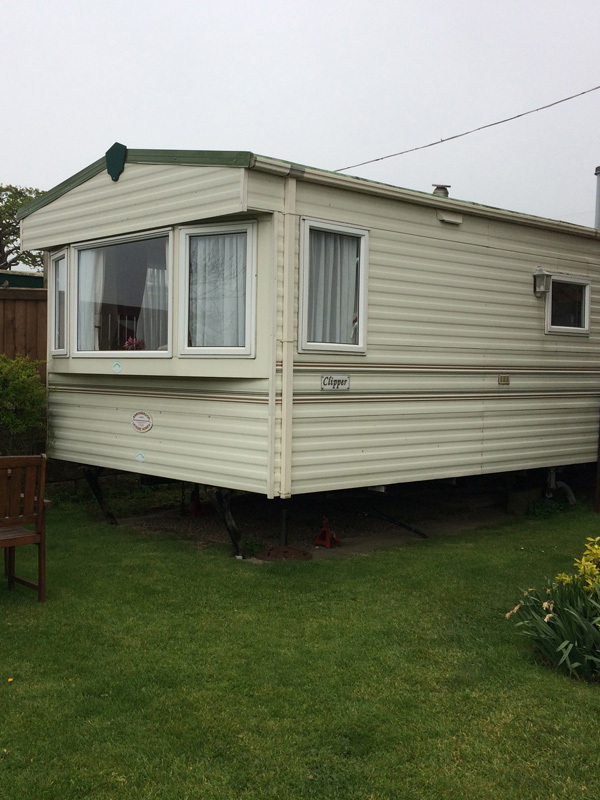 LATE AVAILABILITY - Caravan available from Monday 8th April to Monday 15th April 2019, also from Monday 22nd April to Saturday 27th April 2019. Please contact by e-mail or telephone on 01947 880283 for prices/details. You'll need Adobe Reader to view the Booking Form, if you don't have it Click Here to download it. 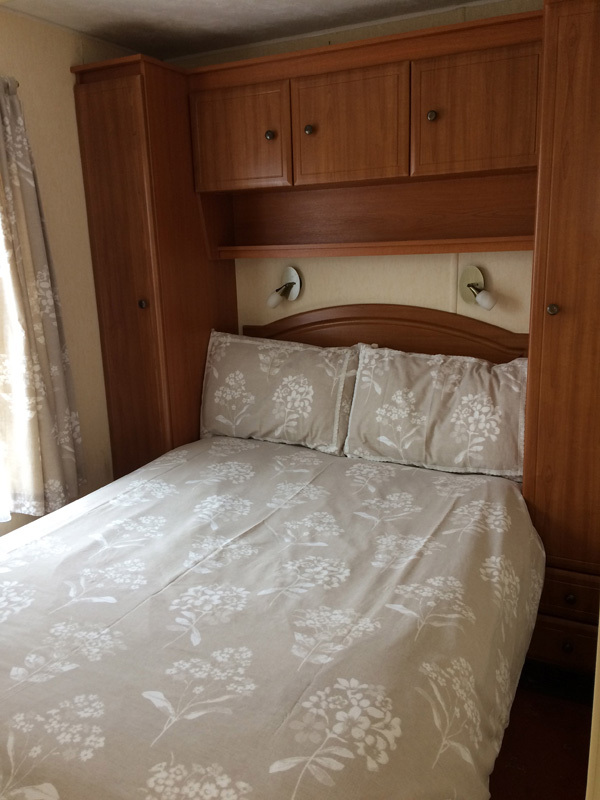 The caravan costs between £300 and £440 per week (depending on time of year) and is available for short breaks - please telephone for further details and prices. Available from 2pm on arrival day and vacated by 10am on departure day.